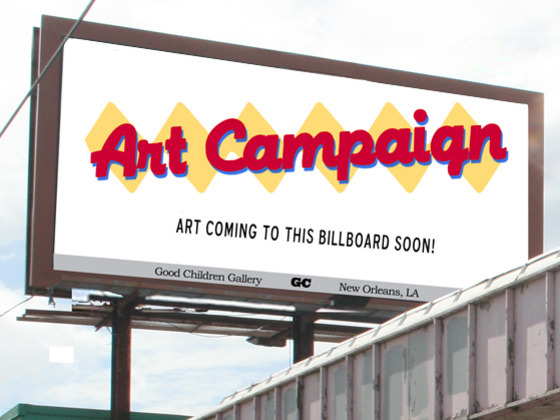 “Art Campaign”, a year-long series of billboard exhibitions set to debut with the opening of Prospect 1.5. New Orleans. on those working outside of Louisiana. We’re currently raising funds for the billboard rental. We’d greatly appreciate it if you would take the time to learn more about our project and support it by visiting our KICKSTARTER page!